Game Developer Project has just been acquired by Blueprint Gaming. Since the beginning of February, the frequency with which we have been reporting about online casino game developers has increased. For example, we recently told you that Stakelogic would be offering its slots on the SkillOnNet platform and that Netent slot games are being developed that are based on the barbarian Conan and Ozzy Osbourne after acquiring the rights to both. Today we are reporting on Blueprint Gaming, which has just taken over UK-based Project. With this acquisition, game developer Blueprint Gaming will enhance and diversify its already broad range of games, with Project's game portfolio, by offering more than 50 additional games. The game selection of Blueprint Gaming is now growing by over 50 games from Project. Project is a pioneer in the UK market as they have been operating in the land-based casinos business for over 30 years. There are also many online slot games, such as Mega Bars and Find the Lady Poker. 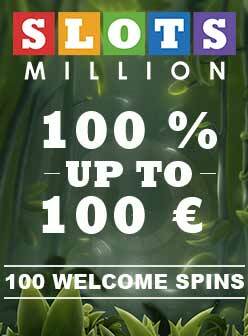 You can also find a large selection of casino games in casinos such as SlotsMillion, LeoVegas or Cashmio.